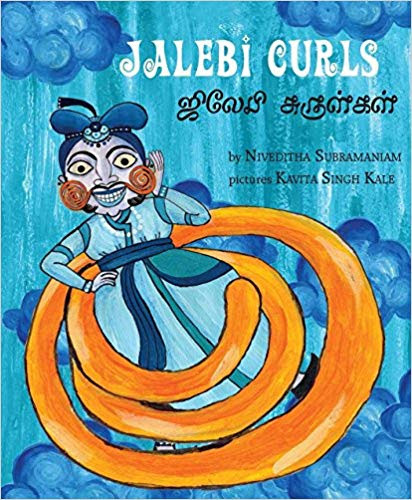 Looking for Hindi books for kids? It can be difficult to find stories for kids in Hindi that have been tried and tested. 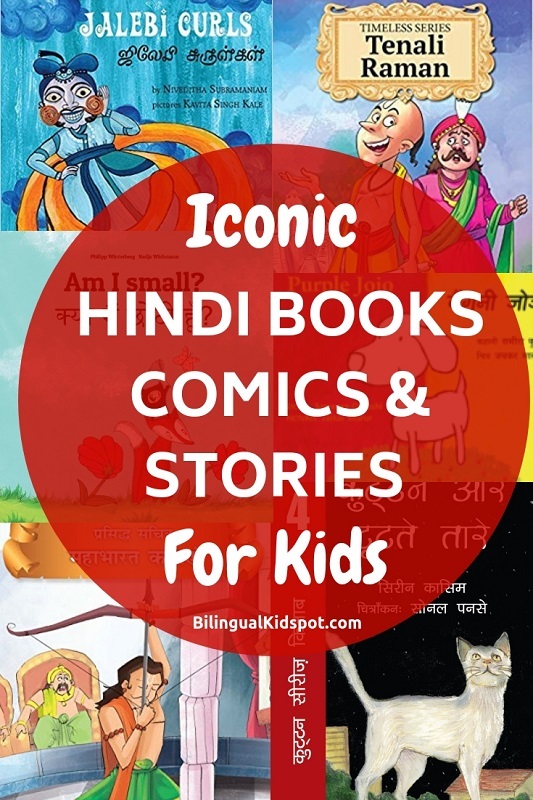 But this list of Hindi story books and comics come recommended by Charu Chhitwal and includes some bilingual English and Hindi books too! Hindi books have a story to tell. Not just the one in-between the cover pages but also about how they are keeping a language, a culture and traditions alive. Especially for children. Across Hindi speaking nations like India, Mauritius and more, English, is fast becoming the mother-tongue. 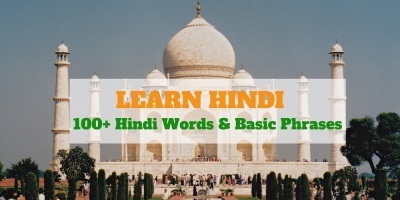 In Indian schools with international board affiliations – Hindi often gets replaced by a foreign language like French or Spanish. For the Non-resident Indians keeping kids overseas in touch with Hindi is a big task. And this is where Hindi Story Books step-in, literally with a cape. More and more publishers are recognising the significance of story books in the Hindi Language. After all, it is spoken by more than 550,000,000 people. Recently even BBC launched a news channel in Hindi. Popular channels like Nat Geo and Discovery are also available in Hindi. In fact, my cousins load up on Hindi books when they come for their annual India Trips. Some have engaged in online resources like Hindi Kids App to enable kids to learn Hindi. Some are regulars on Indian Publishing sites like Katha and Pratham Books. After my last article on Beautiful Hindi Books, I am always asked to pick the pearls from the sea. 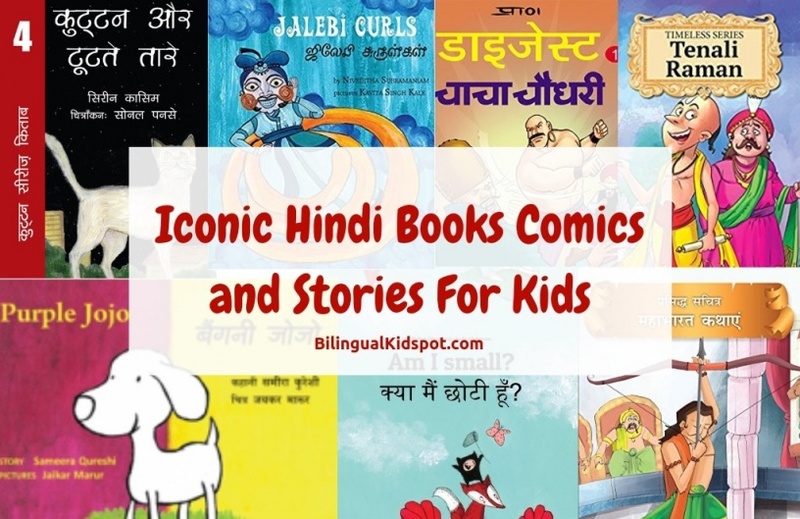 So here is a compilation of 10 Iconic Hindi Books for Kids. Some of these are also Bilingual Books, Available in Hindi & English. A few of these also have Indian regional language options – English/Gujarati, English/Bengali, English/Marathi, English/Telugu and more. This is a beautiful Hindi story book for beginners. 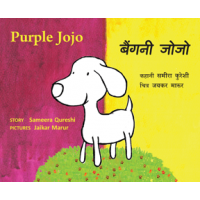 When Jojo the dog wakes up with purple or baingani spots on his body, he sets out to find the culprit. Through Jojo’s search, the kids learn to read Hindi and identify the colours too. A set of four really colourful and easy to read story books in Hindi for starters. Each of these books tells meaning stories through loveable characters- Three ant friends, dolphins, hens and of course the charming dolphins. At the age of three, pictures arrest kid’s interest beautifully. Ghungrali Jalebi’s illustrations are eye-catching and the story is hilarious. The raja or king loves Jalebi so much so his dreams are made of Jalebi. And funnily even his nightmares are in the shape of Jalebis. This Hindi book for kids is a riot of colours and fun. 4. Kya Main Choti Hu? / Am I small? Kid’s questions can sometimes have the most surprising answers. Tania is perturbed by a small question – Am I small? She sets out on an answer quest and meets different animals on her journey. A beautiful story book in Hindi for kids. A lovely Hindi story book for kids of school age. One night, Kuttan spots a beautiful and straight line shining in the sky. Discovering the truth behind this sparkling mystery makes for a great read for little inquiring minds. 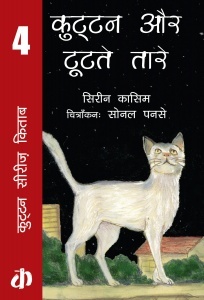 A Story book in Hindi for confident readers. King Akbar is always in awe of the intelligence of his favourite courtier Birbal. In this Hindi book, the kids get to enjoy Birbal’s smartness. 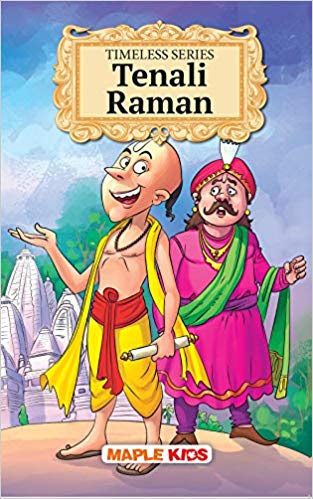 Tenali Rama is another character that has been feeding the imagination of Indian kids. He is a witty, intelligent advisor and a poet in the court of king Krishnadeva Raya. Each Hindi story revolves around him solving a problem and leaves the kids appreciating the difference between the good and the bad. Mahabharata is not just mythology. It is a way of life. Each character in this blockbuster story is better than the last one. What looks like a mere struggle for power between cousins, actually is a book on life lessons. 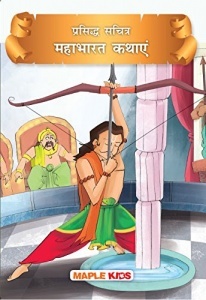 In this Hindi book, Kids learn about Krishna, who represents enlightenment. Arjuna who is the bravest warrior coaxed into fighting his own. Draupadi a woman who is in the centre of this war and just so much more. A petite looking elderly man has a mind sharper than a computer. His accomplice is Sabu, a powerful man who has descended straight from Jupiter. They are forever on an adventure and problem-solving trip along with their dog Rocket and Dag-Dag; a half machine and half human truck (now you know where the idea for Bumblebee came). This beautiful Hindi story book is all about the changes that one faces in life. The Patang Ped changes with every season and this raises a thousand questions that have colourful answers. This book springs lovely surprises on the early readers. 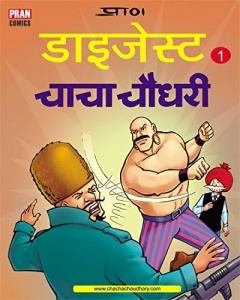 Most of the Hindi books in this compilation are considered literary wonders- Chacha Chaudhary’s first comic came out in 1971 and was an instant hit. Mahabhartha has been around for centuries. The sheer amount of books, movies, songs, poems inspired by this saga are overwhelming. These Hindi story books were competing against the Archie’s, Asterix, Spiderman and even Famous Fives. They survived the test of times and have kept the interests of early readers in Hindi going. Author: Charu Chhitwal is an award-winning copywriter trying to find humour in losing her sanity to her twins. Indian by birth, by marriage and by habits, she takes pride in its loud and colourful way of living. A Huffington Post contributor, Charu is the founder of KetchupMoms.com and popular Facebook page – Asamatteroffat.